Over the course of this next year, I will be contributing some thoughts and observations to our blog. One thing that really interested me about coming to St. John’s was the company-wide commitment to the brand characteristics. As we enter the holiday season, I will focus on the brand characteristic of being respectful. We often hear that American society does not have enough respect for our elders and it can be hard to argue that point. The profound intersection of lived experiences and individual personalities are all too often rendered invisible in a culture that values the newest thing coming now. I am so grateful to work at an organization like St. John’s, where the elders who reside here have a chance to be known. The caregivers here, be they shahbazim providing care, social workers interviewing about preferences, or nurses giving treatments, have the opportunity to learn about who they are serving. There is a respect not just for who they were earlier in their lives, but a respect for who they are today. That respect can look like someone stepping back to give a resident the space to do her own hair, even if it could be done faster by a caregiver. Respect can be honoring a choice around meal time, even if the choice might not be what is perceived as a healthy option to a community physician. Respect is about seeing each resident as their own person who deserves to spend each day as an autonomous adult. A place where respect does not just exist but shines with glory is exemplified each November at St. John’s. 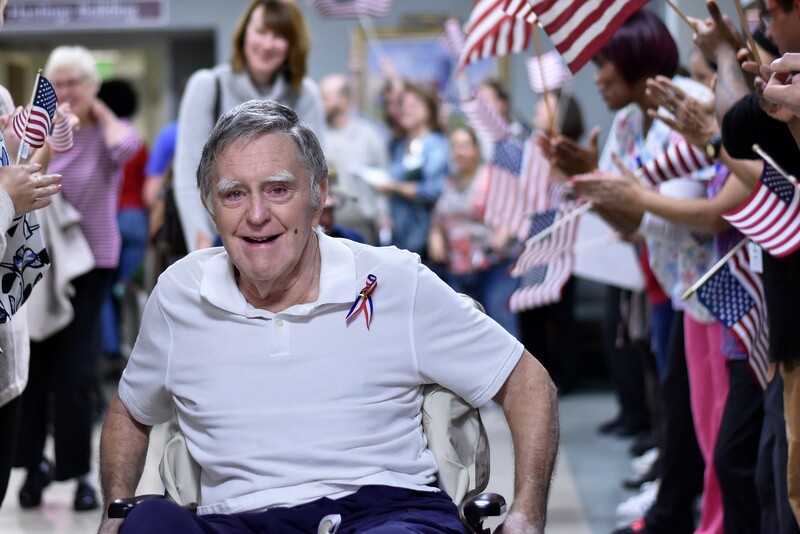 A special Veteran’s Day celebration is held as our residents come together with staff who have also served in the armed forces to celebrate their accomplishments, be recognized for their contributions, and thanked for the service they gave. Together, they represent some of the best of our country.